Arkansas Department of Human Services Director Cindy Gillespie was in a cheerful mood by week’s end as the Arkansas legislature undramatically passed her agency’s often-controversial budget thanks to federal officials approving one of the state’s two major waiver requests for Medicaid expansion. Last Monday (March 5), Centers for Medicare and Medicaid Services administrator Seema Verna signed a long-awaited Medicaid waiver requiring work requirements for able-bodied Arkansans to receive health insurance and gave it to Gov. Asa Hutchinson during an overflow press conference at the State Capitol. 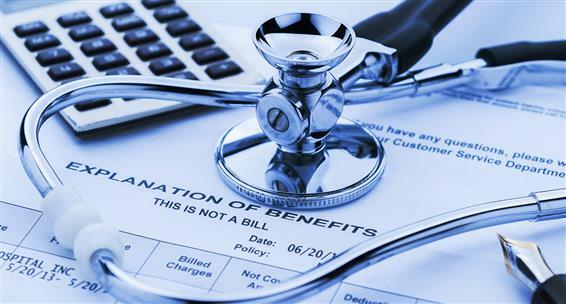 While the work requirement waiver was granted, another requested waiver for moving a subset of Medicaid expansion recipients to Affordable Care Act (ACA) exchanges is still pending. Gillespie said moving the 100% to 138% federal poverty level group out of Arkansas Works is not just a budgetary concern for the federal government, as has been widely reported. There are a number of reports that suggest federal Medicaid officials worry that more states might adopt the waiver request forcing the federal government to pick up a bigger tab of funding. A state like Texas or California could add billions of dollars to the federal government’s responsibilities if a waiver such as the one Arkansas has requested is granted. Gillespie said that’s not the only reason for the fed’s hesitation. “It’s really an issue around how much authority do they have to be able to waive something like that that is written in the Affordable Care Act, and be able to tell us, ‘Yes, you can move in this way in your state,’ and pull that down to this level,’” she said. “We’ve been going through analysis after analysis with them for months, and as you saw, part of what also went on in Washington is they had eight states ask for a work requirement. They have nine others that are in the process of putting in place a request for a work requirement, and so they just said, ‘We’re going to step back and we’re going to focus on getting the rules for work requirements for states in place.’ They asked us, ‘Do you want to wait ’til we finish on this other, or do you want to move ahead in your work requirement?’ We said, ‘Let us move ahead in the work requirement. We’ll continue talking to you about how to get ourselves down to the 100%,’” Gillespie said. On the work requirement waiver that was granted earlier in the week, Gillespie said several state agencies will coordinate with hers to implement a system that includes Arkansas Works recipients reporting their efforts. The waiver allows Arkansas to require beneficiaries of its Arkansas Works program ages 19-49 to work 80 hours per month or engage in other activities such as job training, job searching, education or volunteering, or some combination of those. Arkansas will phase in the program, beginning with recipients ages 30-49 this year. Next year, recipients ages 19-30 will be required to work or engage in work-related activities. The waiver will affect 39,918 beneficiaries this year, according to DHS. The state has 99,632 recipients ages 30-49, but 59,714 qualify for an exemption. Exempted beneficiaries include those who are medically frail, those who are pregnant, those who face a short-term incapacitation or are caring for an incapacitated person, and others. Arkansas Works covered about 286,000 Arkansans as of the beginning of the year. The state will begin implementing the work requirement this month, and recipients will begin reporting their work activities June 1. Gillespie said a participant will have to create an online account through access.arkansas.gov and report monthly on their activities surrounding jobs, workforce education, and job searches. She says the state will receive enough detail to verify and cross-check the honesty of the reporting, and there will be audit measures in place to spot-check accounts to avoid fraud. “We look at this as it is so incredibly important that the people who are on the program use this program as an opportunity to advance up the economic ladder,” Gillespie said. “If they don’t take advantage of the services that are available to them through the Department for Workforce Services, I mean, there are free job searches, there are on-the-job training programs, there are apprentice programs, there are all kinds of programs to help people get their education, get a GED, two-year, vocational [degrees], you name it. You can watch Gillespie’s full interview below.